To affirm your membership of the vertical community, this tee with exclusive graphics is essential for climbing sessions, and for everyday wear too. Sa production SMARTBLEND™ low environmental impact combines ORGANIC COTTON and recycled polyester, two highly complementary fibers). 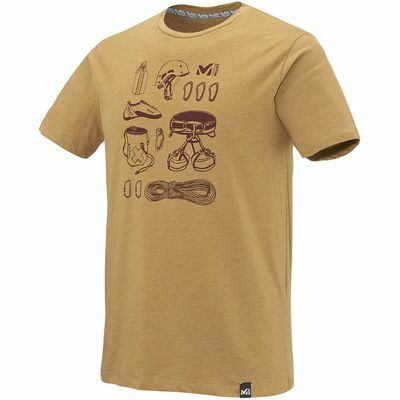 On crags and urban routes, this CLIMBING TOOLS tee manages sweat efficiently while keeping its natural softness and maximum freedom of movement, and is also super-light. Easy to wear and durable, it stands up to repeated friction and washing.